Visit hidden spots near Cusco and in the Sacred Valley. 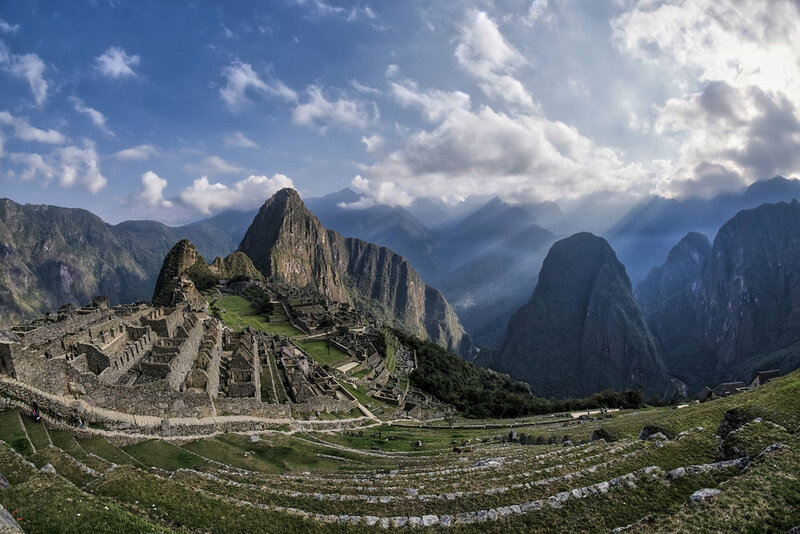 Experience the incredible and famous Machu Picchu, a must see for anyone visiting Peru. Meet the real locals of rural Peru, spend time and be hosted by a beautiful family in their home. Photo opportunities in Landscape, Portrait and documental styles with the incredible backdrop of Peruvian landscapes. As well as the big attractions get to know a special side of Peru not many do, well off the beaten path. 8h00 - Pick-up from hotel or hostel and begin our drive into the Andes. 9h00 - Stop in Chinchero to pick up some local empanadas to eat later for lunch. 9h45 - Stop at our secret landscape location. Here we get an incredible view over the sacred valley and also if we are lucky, a chance to meet and photograph some of the local farmers and shepherds who work on these lands. 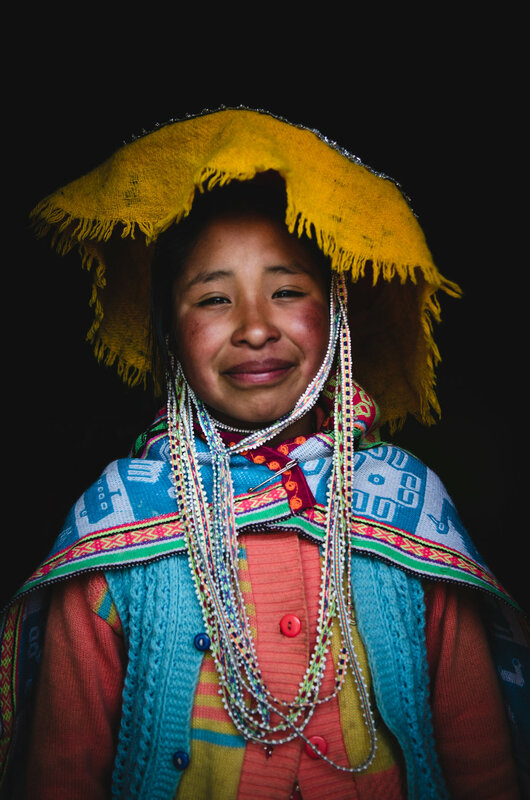 10h45 - Stop at a local textile market in Chinchero, here we get to learn about the textile process of dyeing and weaving and also can have full portrait sessions with the ladies there wearing local traditional clothes. 13h00 - Workshop at the Salineras de Maras, here you can find many opportunities for awesome photography, from small details to big landscapes and the locals seen working in this otherworldly place. 14h00 - Leave the Salineras and begin the drive to Ollantaytambo. 15h00 - Arrival in Ollantaytambo, from here we drop you off to take the scenic train to Aguas Calientes solo. Have no fear we will make all arrangements for your hotel etc. 17h00 - Arrival in Aguas Calientes, check into your hotel and free time to relax. 19h00 - Your local guide for the following morning will meet with you to brief you on the upcoming day. Afterwards we recommend getting a good night’s sleep ready for the following day. 4h00 - An early start this morning to begin queuing for the bus up to the site of Machu Picchu. 6h00 - Gates open to the site, your guide will give you a 2h30 guided tour of the location. Once the tour is over you will be free to continue exploring some more if you like. 12h00 - Return from the site down to Aguas Calientes for some lunch and to relax a while. 15h00 - Catch the train back to Ollantaytambo. 16h30 - Arrival in Ollantaytambo where we will be waiting to pick you up in our private transport and transfer you to a hotel right in the heart of the Sacred Valley, here we will be able to eat some dinner and relax for the evening. 3rd Day - Community Visit. 7h00 - Time to get up and grab some breakfast at the hotel. 8h00 - Leave the hotel and make a quick stop in Calca to visit the central market, here we can buy a few things to take with us to the community. 10h30- Arrive in the community and meet with our hosts for the day. 11h30 - Visit the local school, meet and spend time with the children there. Plenty of opportunities for great photos around the school. 13h00 - Return to our host’s home for lunch of homemeade local food and portrait sessions with the family, all wearing full traditional clothes. 14h30 - Visit lakes above town for landscape shots. Train, bus and entry tickets to Machu Picchu plus local guide on site. All entry tickets for other places visited. Two nights in hotels (double occupancy). Food: breakfast included in hotels, lunch on day three with local family. Photography guide on days one and two. 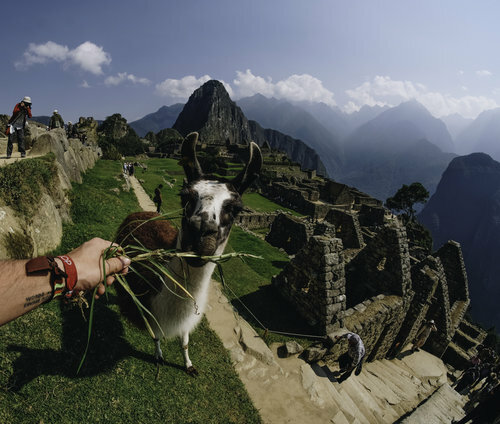 Photographer guide to attend with you all the way to Machu Picchu. Clothes for all conditions, the weather can be unpredictable in the Andes, it’s best to be prepared! Comfortable walking shoes. Although no strenuous hiking is involved its always recommendable to wear sensible footwear. Camera gear, spare batteries, SD cards etc. Note: tripods are not allowed on the site of Machu Picchu.